Posted on 11, October 2016 by EuropaWire PR Editors | This entry was posted in Awards, Energy, Gas & Oil, Internet & Online, Management, Spain and tagged CRC Gold Award, customer relations, eCommerce, Endesa, Spanish Association of Experts. Bookmark the permalink. The CRC Gold Awards, which include the Ecommerce strategy for the first time, are independent awards granted by the Spanish Association of Experts in Customer Relations (AEERC), with the collaboration of Ifaes and IZO. The prize awarded to Endesa recognises the strategy and service quality in digital sales of electricity, gas and In-Person Technical Services (STPs for its Spanish acronym). 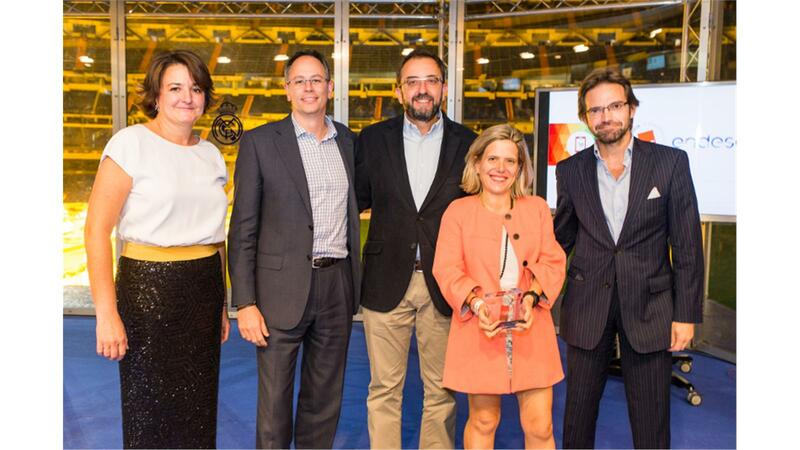 MADRID, 11-Oct-2016 — /EuropaWire/ — Last night Endesa received the CRC Gold Award for the best Ecommerce strategy. This is the first edition to include this category in the prestigious accolades which have been awarded for the last 18 years by the Spanish Association of Experts in customer relations (AEERC), with the collaboration of the International Faculty for Executives (Ifaes) and the methodology of the experienced consultancy firm with customers, IZO. Endesa obtained the best assessment from independent experts and from their customers from among all the companies taking part. The methodology is based on the CRC Index, which is an indicator calculated on a grade obtained in a Voice of the Customer process (customer surveys), complemented by an audit performed by experts to identify and establish the ranking with which to compare the companies. Endesa’s innovative sales strategy for electricity, gas and maintenance services called In-person Technical Services is based on the Digital Sales Acceleration programme. This programme forms part of the Company’s ambitious Digital Transformation Plan, which has enabled it to triple its digital sales in the last three years. In 2016, it expects to reach 100,000 sales in electricity, gas and STPs. The pattern of digital sales over the last year has represented a significant increase. It includes improvements for increasing our media presence and disseminating our customised services through a number of channels (Google, other websites, personalised email campaigns, etc.). The most significant element of this strategy is a unique data management platform that compiles, organises and activates all user and customer data in order to adapt our services to their requirements. New tools have also been incorporated which will make the process of signing up to the most suitable energy products easier for customers. Accordingly, the steps and the data to be provided by customers has been noticeably simplified and online and telephone help systems have been developed (ClicktoCall channel) to assist customers throughout the registration process. This sales strategy is completed with ONE, the first 100% digital energy tariff that strengthens the company’s position by digitalising relations with its customers. In fact, since the launch of ONE a year and a half ago, over 150,000 customers have chosen this form of contract. Apart from the recognition for its digital sales, Endesa was a finalist in the CRC Gold Awards in the Best Customer Service in Online Channels category. In this regard, Endesa has a wide range of digital customer service channels to enable customers and non-customers to access information. Endesa has a new customer service website www.endesaclientes.com and it also has the endesaclientes App, as well as increasing its social media presence. Users can submit any queries, access their invoice log, modify their personal details and their contract details at any point via the website and the endesaclientes app. Endesa’s website for customers receives on average over one million visits a month and via this they can access the company’s communication channels on social media. In this regard, Endesa has just launched a customer service channel via WhatsApp, becoming the first important energy company to offer this service. Through Endesa’s WhatsApp, accessed via the number 638860649, customers can check their bills and receive advice and information about products. During the first two months of this system, since Endesa activated it in May, this channel has established 1,000 conversations, 50% of which were related to billing and contract issues. Endesa has also had a twitter profile since 2012 @endesaclientes. Since then, this channel has attended over 1,000 cases each month and has over 15,000 followers. Apart from WhatsApp and twitter, Endesa also has a Facebook profile with over 20,000 followers. Since August, this profile not only offers advice and answers queries, but now customers can also check their bills and make payments.